There are artists that you can hear one time, and you’re certain they’re going to be a huge success. Sometimes it’s the whole package; sound, looks, personality – they all form into this magnet for attention and success. Today’s artist is unquestionably one of the most successful pop artists of all time, and it was pretty clear that would happen from a young age. Beyoncé Knowles was born in Houston, Texas on September 4th, 1981. With her mother being a hairdresser/salon owner and father working at Xerox as a sales manager, her family came from a comfortable background. Beyoncé’s vocal talent was discovered during a dance class at age 7 when the instructor began humming a song and she finished it, able to hit even the high-pitched notes. Later at that age, she would go on to win a school talent show defeating 15/16 year olds while singing John Lennon’s “Imagine”. At that point, she was put into a music magnet school where she would join the choir. She’d go on to meet her friends Kelly Rowland and LaTavia Roberson and form a group that would audition on the popular show Star Search. While they did not win the show, the trio would go on to form Destiny’s Child who as adults, who would go on to sell over 60 million albums. Today however we focus on Beyoncé’s solo career, specifically her third studio album, I Am… Sasha Fierce. 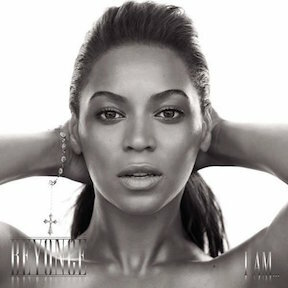 Released in November of 2005, the album was formatted as a dual compact disc to emphasize her range as an artist. The first disc was slower and more of a classic pop album, while the second was much more upbeat with an electronic undertone. This would be her first album release after marrying rapper Jay-Z, in which she credits him for pushing her limits in making this record. In spite of a lukewarm initial review, sales are nearly 10 million to date. With the backing of four extremely popular singles, radio play and buzz was huge, even if critics felt the album didn’t stack up to prior efforts or if the dual disc gimmick didn’t exactly accomplish what it set out to. There is a good chance I’m biased, but I’m probably the best person to review this album. Clearly this isn’t made for me, as I’m not the target demographic for mid-2000s female pop artists. It’s impossible for me to not have heard and seen things about this prior to today since Beyoncé is everywhere – but I had never listened to this start to finish. I can say that I’m pleasantly surprised. The true pop portion is maybe a bit dry, but the second half where we get more into that up-tempo dance stuff, it starts to come together. So I get what she was trying to do, and it makes sense. It really does show her range as an artist and maybe a range in her personality. She can flat out sing so no matter what the background is, if you appreciate vocals, this will suit you just fine. Beyoncé has it all. Looks, talent, fans – all the things needed to make a major pop icon. She’s succeeded in taking over the music world, so while she doesn’t need the extra $5 bucks, Sasha Fierce is certainly worth it.